After a brief spell, when flooding subsided, the Callows are once again under full winter flood. Unlike in summer, when flooding leaves the Callows eerie and silent, in winter they become a hive of activity. 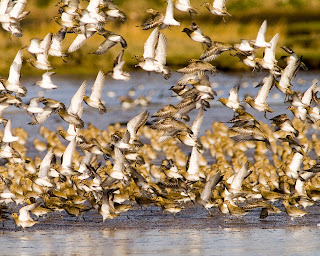 Large wintering flocks of Golden Plover, Black-tailed Godwit, Lapwing, Teal and Wigeon arrive, along with other species such as Curlew, Redshank, Dunlin, Shovler, Pintail, Whooper Swan and Black Headed Gull. And it’s always worth keeping an eye out for rarer visitors, such as Ruff, American Wigeon and passage Greenshank. When water levels are high, as they are now, sites like “The Commonage” between Banagher and Shannon Harbour are excellent spots to see all the above, and often provide opportunities to get quite close to birds. 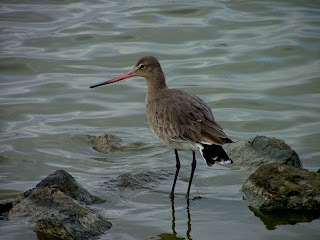 It’s also a great place to try and spot colour ringed Black-tailed Godwit, which turn up occasionally. A few years ago I had seven on one visit! Sending the records to the Schools Godwit Project, and finding out exactly what that bird has been up to for the past few years, is both exciting and extremely useful in helping researchers gather important information on the species. The I-Webs season is now well underway and two counts have already been carried out on the Little Brosna. 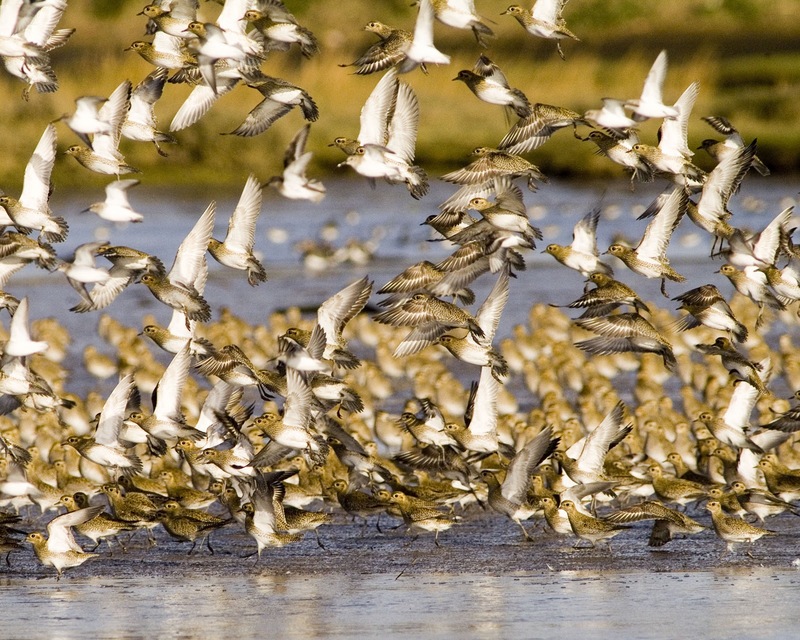 It’s a daunting task because as winter progresses, it holds huge numbers of birds. Indeed it’s an internationally important site and one of the most important in the Country, often holding more than 20,000 wintering waterbirds.